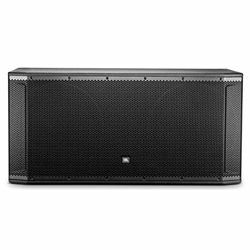 If you look for a great subwoofer and you want something powerful that looks very modern, then you should pay special attention to the Definitive Technology Supercube 2000. This model is not only a modern-looking solution and it can be perfectly integrated into any audio setup. 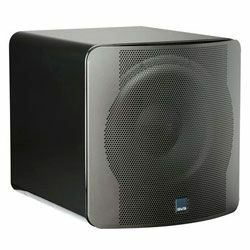 It is a very powerful subwoofer which would be a great option for medium large-size rooms. The output bass sound is clear and this model perfectly handles all frequencies and you will always get the perfect sound. This Definitive Technology Supercube 2000 review will help people who look for a great audio solution. The Definitive Technology Supercube 2000 looks modern. It features a solid, high-durable cabinet made of MDF, which means the body secures all the internal parts of this model. The cabinet is built using numerous internal braces. It helps to exclude any resonance. Therefore, you will get the clear output bass sound without any vibrations that make the output sound muddy. This front-firing model features an exclusive 7 in high-tech woofer, which is pressure coupled to (2) 7-inch bass radiators. 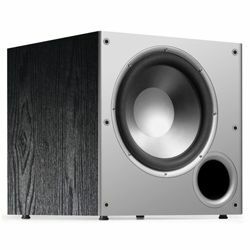 The woofer is made of the polymer material which also guarantees high durability. The vented enclosure type with the port placed on the right panel makes the output sound even cleaner. This small cube-shaped subwoofer has four small feet that make the device stand on its place no matter how loud you want it to be. The back panel has a volume dial, a power switch and a single RCA LFE input port, which facilitates the setup process fast. It is easy to access the ports and connect everything or control the dial. The dimensions are 13.2x33.6x35.5 in, while the weight is 25.1 pounds. This is a powerful solution and the Supercube 2000 specs prove it. The nominal output power of this model is 650 W, while the maximal output power is 700 W, which is enough to cover a large area with the well-balanced bass sound. The amplifier output power is 650 W. The frequency response range is from 20 Hz to 200 Hz. The bass radiators deliver the powerful output sound. The internal amplifier uses the Multiband Dynamic Range Optimizer technology as the primary protection circuitry. This model also features the automatic turning on and off system based on the signal. Unfortunately, this model does not feature crossover controlling and the subwoofer phase switching technologies. Many customers are happy with this model since it can get very loud and it delivers the super tight and punchy bass sound, while it can get very deep. Some customers claim that this model performs better than models with larger drivers. The model is very tiny as well. 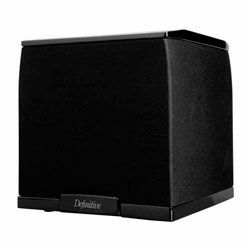 Customers also claim that this model is a great option both for movies and for music – it perfectly handles all frequencies. This subwoofer also blends perfectly. The construction is also very durable and it has an attractive finish. However, customers claim do not like that it does not feature a remote controller to control the volume level. Plus, many customers state that the price is quite high (it will cost you around $500), but the output sound is truly amazing. Some customers claim that you will also have troubles if your amplifier does not feature a sub out since this model has a coax sub in only. This model does not have a dial to adjust the crossover frequency, so dealing with the Definitive Technology Supercube 2000 settings need some time to adjust everything using a receiver or other solution you have. 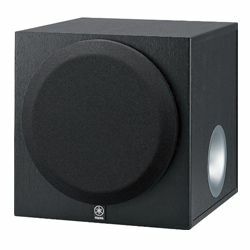 Customers claim that you need to find a good place for this subwoofer – it should not be placed in a corner, otherwise, the output sound is poor and muddy. Many customers like the adjustable legs which have rubber tips and copper inserts. The Supercube 2000 setup process is fast and easy, you just need to connect a single cable and you get a completely working subwoofer. The Supercube 2000 is truly an amazing solution. This subwoofer is not very big, but it can shake the walls. However, this model may cost you some money, but you will not regret since it is super powerful and the output sound is very clean. Of course, this model does not allow you tweaking the crossover frequency, but it is still a great solution for movies and music, it outputs the clear sound and it can “cover” a wide range of frequency.